Mid-Drive kits compatible with every Dutch cargo bike. We can ship the kit to you, or install it for you, in our store. Incredibly intuitive pedal feel thanks to one of the best torque sensors we have ever tested. No pedal resistance when the motor is switched off – you still keep your pedal-powered bike. 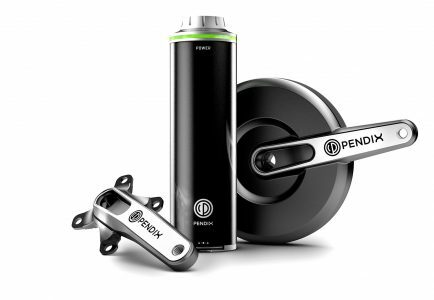 Fits on virtually all bikes. 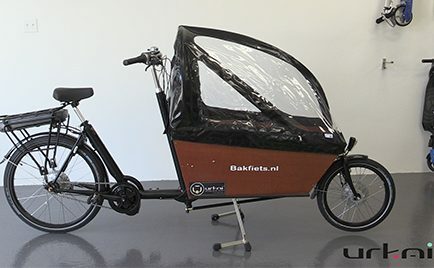 Dutch bikes and cargo bikes – you get to keep your fully enclosed chain case! For those wanting the maximum power legally available, to power up the hills with a heavy load of cargo. The Bafang BBS02 mid-drive is the way to go! It has a jaw-dropping 80 Nm of torque which leverages the gear ratios of the internal hub giving it maximum legal (500W Canadian limit) climbing power and cargo hauling capability. It comes with a 36V 10 AH (374 Wh) Samsung Battery with charger, a USB port to charge your phone/lights, and rear carrier. Approximate Range 20-50 km. We have everything customized for our bikes, so you can have any bicycle shop install the complete kit. * Does not include bike, repairs required before installation, delivery, shipping or taxes.